Swachh Survekshan Grameen 2018 App for giving feedback online. 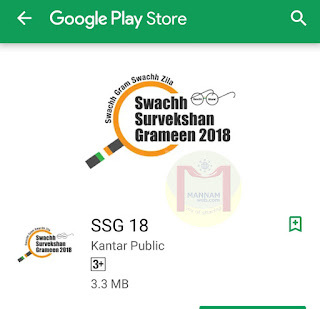 Please find the link for downloading the Swachh Survekshan Grameen 2018 App for giving feedback online. Please ensure the app reaches to all the public and proper guidance may be provided for gaining adequate feedback from public. Download....Swachh Survekshan Grameen 2018 App for giving feedback online.